Having grown up on a honey bee farm, I've become a big believer in the amazing health properties of royal jelly over the years. 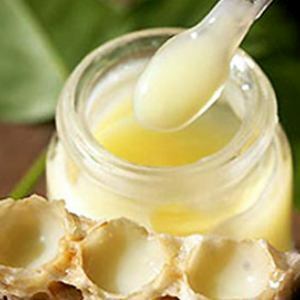 Royal jelly is an energy tonic that is highly complex. It is a protein-based food recognized as a natural source of many vitamins and minerals. It is full of antioxidants and great to take everyday as a nutritional superfood. Many of our customers coming into the shop have told us that they experience a state of mild “euphoria” after taking it - you definitely feel very alive and energized when taking RJ! I also find my skin seems to really glow when I take it regularly. I get asked all the time if I've been tanning. Nope...just taking my bee pollen and royal jelly! Royal Jelly is a gelatinous secretion from the glands of worker honey bees that is fed to the queen bee. This lucky gal eats like a king! This substance is believed to be responsible for the queen bee's longevity and fertility. The queen bee grows 42% larger than the worker bee, lives five to seven years and lays over 2,000 eggs per day. Vitamins A, C, D and E.
Also contains acetylcholine, a substance that allows messages to travel from one nerve to another in the brain. How is Royal Jelly Produced? Royal jelly is produced by stimulating colonies with movable frame hives to produce queen bees. The jelly is collected from each individual queen cell (honeycomb) when the queen larvae are about four days old. It is collected from these cells because these are the only cells in which large amounts are deposited. A well-managed hive during a season of 5–6 months can produce approximately 500 g of royal jelly. It is very important to know and trust the supplier of your royal jelly as it is extremely perishable. 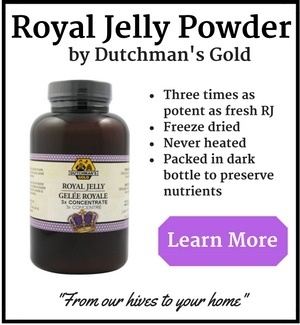 Make sure when buying fresh royal jelly that the product has been refrigerated or frozen upon collection. If you decide to take this amazing substance, there are a couple things to look for before buying. First of all, it should be standardized to contain a minimum 5% 10-HDA (10-Hydroxy-2 Decenoic Acid), the substance believed to be the essence of royal jelly, and the factor responsible for the queen bee's size and fertility. 10-HDA and other fatty acids found in royal jelly are strongly antibacterial and antifungal. 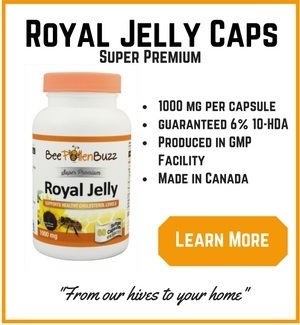 Now that you know the basics about royal jelly, it is time to dig into the dozens and dozens of ways that royal can enhance and improve your health and well being. All of the benefits listed below are published in peer reviewed journals from around the world. Royal Jelly has literally dozens of benefits. I know, that's a lot of 'stuff' that Royal Jelly does. It almost seems too good to be true, doesn't it? Well, it's really not. 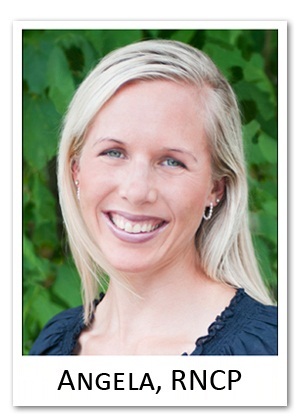 Royal Jelly has been studied extensively. Not only that, but I can speak from both personal experience and the hundreds and hundreds of customers who have come into our honey shop where we sell royal jelly to tell us about their amazing results. 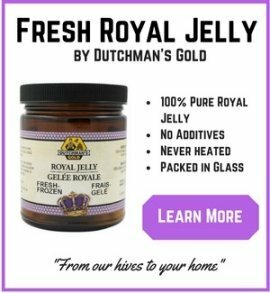 How is Royal Jelly Available to Consume?